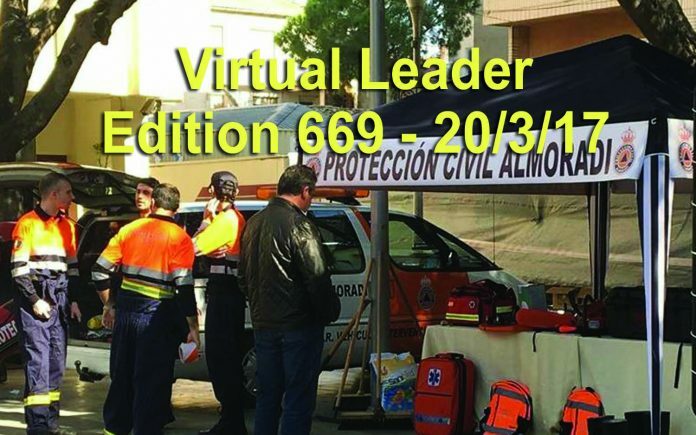 Celebrate St Patrick’s Day with the latest edition of the Costa Blanca and Costa Calida Virtual Leader Newspaper now on line by following this link. Also featuring the latest on the stop/start fiasco that’s going on at Corvera International Airport as the management tender is put out once again to interested companies, with still no sign of San Javier Airport closure. And for the first time this season, as correspondent Steve Hibberd reports, CD Torrevieja are out of the drop zone. Read all about their win over CD Segorbe at the Nelson Mandela stadium on Sunday. All this and more in the Virtual Leader……. Next articleFREEMASON’S RAISE MONEY FOR CANCER STRICKEN CHILDREN.